Glen Echo Creek flows through Oakland’s Rockridge and Piedmont neighborhoods meandering from the East Bay Hills into Lake Merritt. We first discovered this creek on a December Sunday afternoon after an IPA and a good game of scrabble at Catos our local pub. Glen Echo Creek daylights briefly paralleling Broadway and Piedmont for a mile before being channeled through underground culverts resurfacing to flow into Lake Merritt near the Veterans Memorial Building on Grand Avenue. Walking home we traced the creek’s path and final destination, enjoying the reflection of Oakland’s twilight skyline and the “necklace of lights” in the water. It was beautiful. Walking on this cold January morning, the fresh water creeks and salty tidal flow create a flux where brown pelicans, snowy egrets, herons and cormorants seek fish and seagulls dive for mussels amongst the creek and sewer runoff, and stream of trash – a beer can, a plastic water bottle, a tennis shoe, a Christmas wreath, oil residue and the carcass of a possum – deposited after the heavy rains of December. Passing a homeless gentleman just beginning his day’s journey, I imagine this space two centuries ago when coho salmon and steelhead trout entered the estuary on their journey to spawn in one of the watershed’s four creeks** then sheltered among the redwood trees but now largely hidden, paved over with asphalt. Ishmael Reed in his book Blues City: A Walk in Oakland describes Lake Merritt as the “largest saltwater lake in the United States….and before it was dammed it was part of the larger San Francisco Bay.” In his discussions with Malcolm Margolin author of The Ohlone Way and with naturalist and historian Stephanie Benevides, Reed learned the lake was originally an estuary and part of one of the largest marshlands on the Pacific Coast, a major stop of the Pacific Flyway for migrating birds coming south from Canada and Alaska for the winter. The marshlands were part of the larger ecosystem of grasslands and oak trees rising to hillsides with crevices cradling creeks and redwood trees. Wildlife included grizzly bears, mountain lions, condors, bald eagles, deer and wolves. In 1869, Dr. Samuel Merritt worked with the California State Legislature to make Lake Merritt the first wildlife refuge in North America. Many an early morning, I have circumnavigated this body of water andcontemplated what an amalgam the estuary is and how this mixture serves as a metaphor for the City of Oakland. Literally the lake is a mixture of fresh and salt water, their balances dictated by tidal influx and watershed creek runoff; and it is an urban park which merges the sublime natural beauty of migrating winter birds, such as canvasbacks, goldeneyes and scaups, with the urban discharge of trash and waste. Figuratively, Oakland’s jewel is a dynamic public space – a cultural estuary – where mingle peoples of many cultures, races, creeds, gender identity and sexual preference: rich and poor, young and old, the fortunate and desperate, those with homes and those heartbreakingly homeless. They come seeking a safe harbor in which to play, exercise, rest, and draw inspiration from the tranquil beauty of the lake and its surroundings. As Wallace Stegner wrote in his Wilderness Letter “we simply need that wild country available to us, even if we never do more than drive to its edge and look in. For it can be a means of measuring ourselves of our sanity as creatures, a part of the geography of hope. 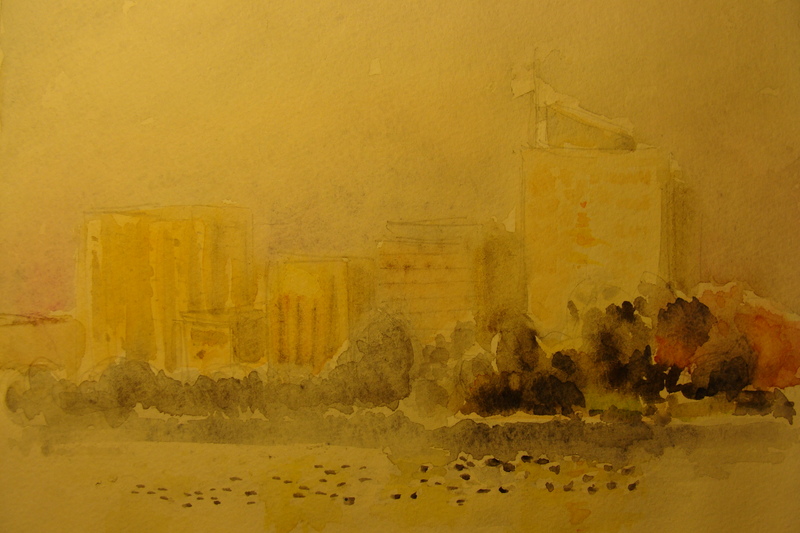 “ Lake Merritt is Oakland’s geography of hope. In November 2002, more than 80 % of Oakland voters passed measure DD, a $ 198.25 million bond measure to improve and restore Lake Merritt including reducing traffic, improving pedestrian and bicycle access to the park, renovating historic buildings such as the Boat House, landscaping and improving water quality through the upgrading of creek culverts and opening of the channel to the Oakland estuary. Work has been proceeding the last several years, and we are benefitting from the fruits of these labors. New life is breathing into the lake and it’s surroundings. But the story doesn’t end with the completion of the project — it is just the beginning of a new chapter of our community responsibility for this jewel of Turtle Island.